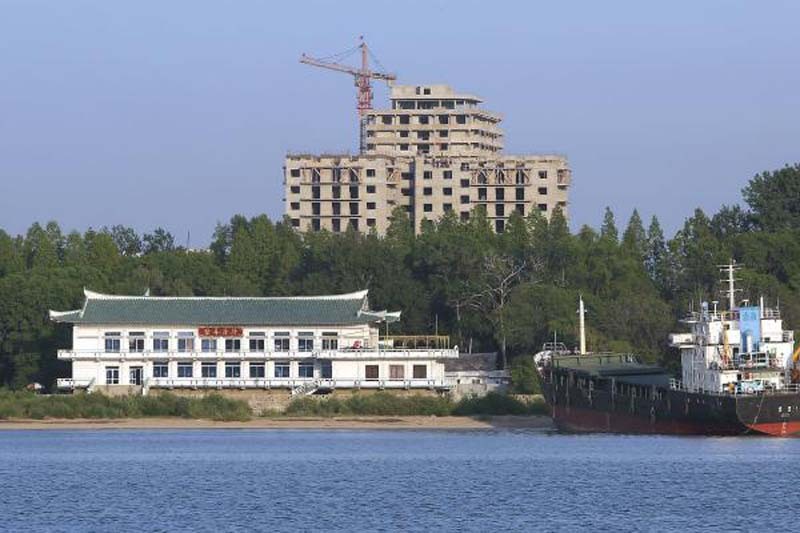 Construction of high-rise apartments in North Korea for the newly rich might have resumed in the wake of improving relations with China. A source in North Korea's North Hamgyong Province told Radio Free Asia the new apartments are being built in the Rason special economic zone, referring to a North Korean city bordering Russia. Song Tao, the head of the Chinese Communist Party's International Department, was in North Korea this weekend, leading a performing arts troupe to a North Korean festival. RFA's source said the construction of apartments that can sell for as much as $30,000-50,000 per unit, began in 2017 but work was suspended following international sanctions against North Korea. "The Chinese companies provide the building materials and architectural plans, and our [North Korean] side provides the labor and sites," RFA's source said. "Chinese investors are flocking to North Korea." Pyongyang's KCNA reported Monday Song and the Chinese performers visited the Sino-Korean Friendship Tower in Pyongyang.